Originally broadcast by KTLA Los Angeles, December 13, 2017. 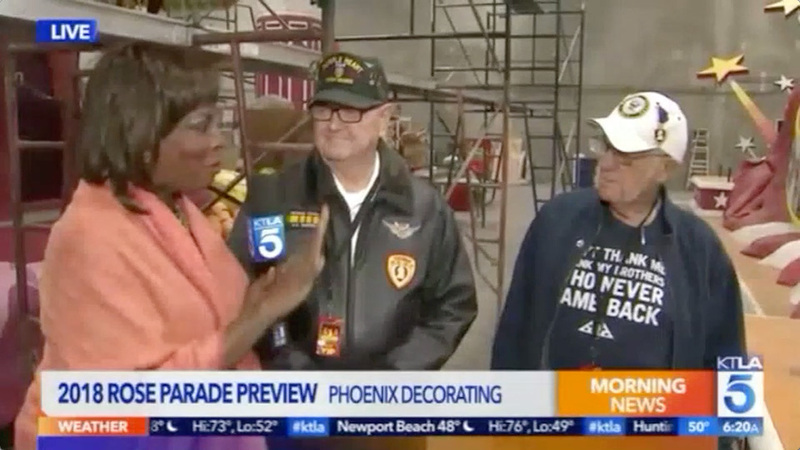 Gayle Anderson was live in Irwindale to continue her series of reports spotlighting the 2018 TOURNAMENT OF ROSES PARADE. Gayle continues at the NEW Phoenix Decorating location in Irwindale! The theme of 2018 Tournament of Roses Parade is “MAKING A DIFFERENCE.” Gayle reported about how that theme is being applied to floats for the Odd Fellows, Shriners, and Lutherans.